Arguably one of the worst parts of putting time into a makeup look — whether a quick, natural face or a full, YouTube-inspired beat — is the risk of it all coming off before you even make it to lunch. Lucky for us, though, setting sprays exist, and they're the key to making whatever you put on your face last all day. But how to know you've found the right one? 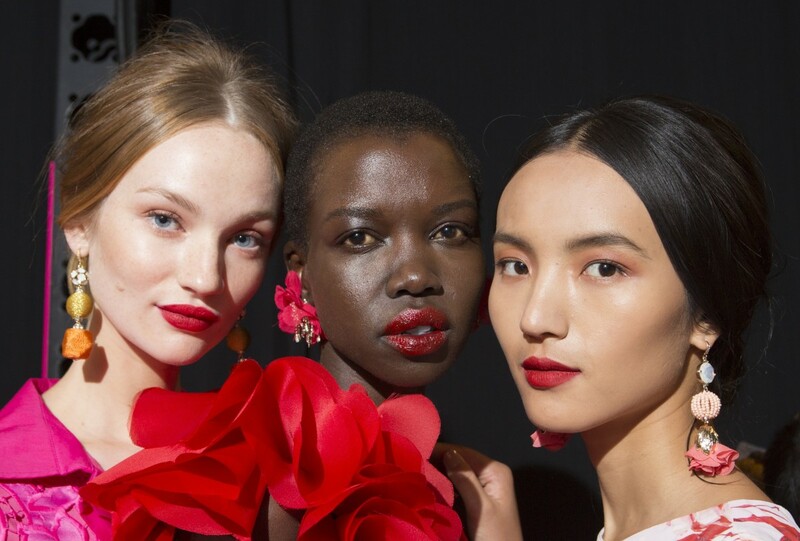 "A good setting spray should be able to set your makeup so it is non-transferable on clothing, but still looks natural," says Rick DiCecca, creative director of makeup design for Artistry by Amway and a makeup artist whose clients include Heidi Klum and Iman . "The foundation of a setting spray should combat oil and shine, while also hydrating your skin to prevent dryness." available here. This quick-drying, mattifying formula is designed to provide all-day shine control while still allowing skin to look fresh and hydrated. It'll keep makeup in place without any stickiness or moisture sapping. available here. "Great product and great value," says New York City-based celebrity hair and makeup artist Laura Burns of this pick. "It's fabulous for anyone with oily skin who is prone to shine. This will still allow a natural glow without looking greasy or sweaty." available here. Suggested for all skin types, MAC's classic formula is one Kierra Lanice, a makeup artist in New York City, swears by. "[This] Holy Grail setting spray is multifunctional and can be used to prep the skin, amplify eyeshadows and set makeup for added glow and hydration," she says. available here. A quick-drying mist that slow down a makeup routine, Maybelline's version locks even the most illusive and slippy of formulas in place. Plus, it has the added benefit of being spiked with aloe, meaning it soothes redness and inflammation. available here. At last: the solution to reapplying facial SPF multiple times a day (as any dermatologist will recommend!) without ruining your makeup. This multitasking spray works like a typical setting product to hold makeup in place, while simultaneously blanketing the complexion in a veil of SPF 50.
available here. Between the price tag and the dew-inducing ingredient list — which features hydrating hyaluronic acid and antioxidant-rich green tea — consider this misting spray a two-second spa treatment. Especially great for those with dry skin, it works well before makeup application to create a smooth finish, or after it to replenish moisture and prevent caking. available here. This multi-tasking mist acts as a primer, setting spray and midday refresher for whenever skin needs an extra boost. Formulated with lightweight-but-moisturizing coconut water, it leaves a glow-y, smooth finish without feeing heavy or slick. available here. Humidity and skin's naturally occurring oils can team up to wreak havoc on a full face of makeup, often causing it to all but disappear by mid-day. That's where Urban Decay's formula comes in. "This is great for preventing that midday oil breakthrough," says DiCecca. available here. "This is known specifically for long-lasting makeup needs," says DiCecca — hence its name. "It's also vegan and cruelty-free." available here. Yes, this is the second Urban Decay product in the lineup. But the brand knows how to lock makeup in place. "I always use this on my clients if they are attending a red carpet event," says Burns, adding that the $32 bottle is worth every penny. "It eliminates shine and holds makeup in place beautifully. This is also a great one for brides as it holds up against tears, cheek kisses and the lot." available here. DiCecca loves that this spray has multiple benefits: "I use it to not only to set makeup, but also to dampen a beauty sponge prior to applying makeup for longer-lasting application," he says.